Attorney General William Barr has told Congress to expect a version of special counsel Robert Mueller’s report on the Russia investigation by mid-April. The attorney general sent a letter Friday to Sen. Lindsey Graham and Rep. Jerrold Nadler, the chairmen of the Senate and House Judiciary Committees. Barr says he wants the public to be able to read Mueller’s findings. He says Mueller’s report is nearly 400 pages long. Mueller officially concluded his investigation last Friday and submitted his confidential report to Barr. 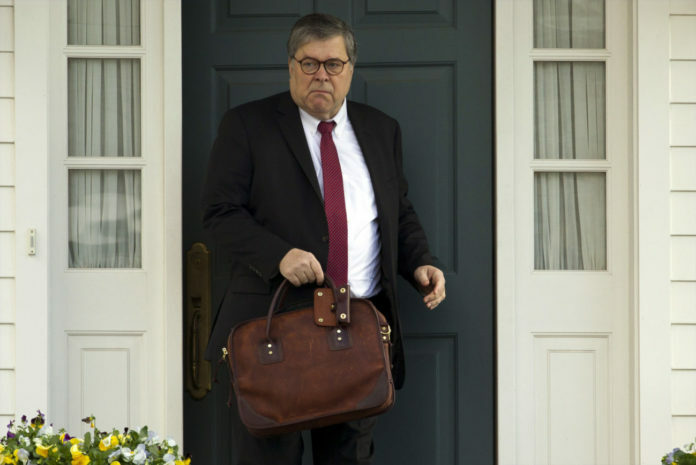 Barr’s summary of Mueller’s report said it didn’t find a criminal conspiracy between Russia and Donald Trump’s campaign to swing the 2016 presidential election. Mueller reached no conclusion about whether Trump sought to obstruct the investigation. But Barr said he and Deputy Attorney General Rod Rosenstein determined there was insufficient evidence to conclude Trump obstructed justice. Democrats have been intensifying their demands for Robert Mueller’s full report after learning the special counsel’s findings from his Trump-Russia investigation run to more than 300 pages. President Donald Trump boasted of total exoneration based on a four-page summary by his attorney general.